Today we are here with a new post that will help you in creating Bloom Pop-up on clicking over a text. Please follow the below instruction for implementation. Firstly we need to add the text module to the page where we want to show this effect. And then add only that amount of content to this text module for which you want to show this effect. Now go to advanced tab of the Text Module settings and assign CSS ID as “textbloom”, you can also assign any other CSS ID according to your need. Please refer the below image for more. 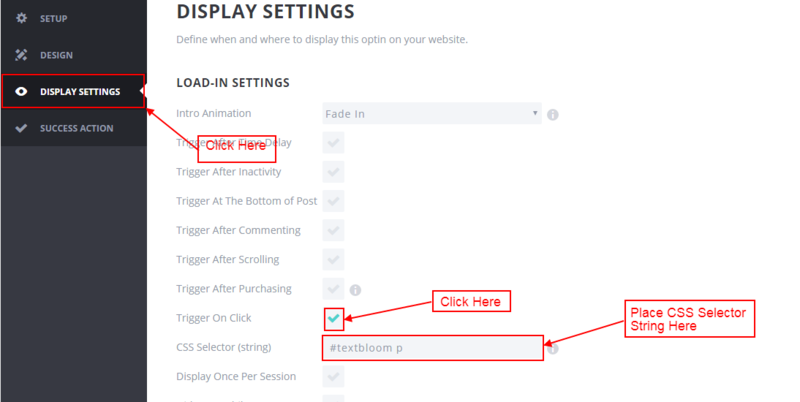 Now go to bloom and then create bloom pop-up here, after completing all the settings in the “SETUP” and “DESIGN” tab, please move to “DISPLAY SETTING” Tab and here click on “trigger on click” and then place CSS selector string as “#textbloom p” as shown in the below image. 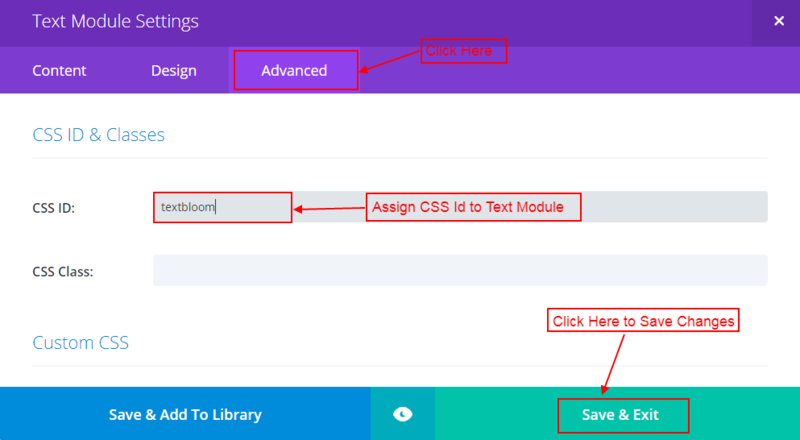 We have used the CSS ID as “textbloom” in the text module so we are using the CSS selector string as “#textbloom p” but you can replace “textbloom” with the CSS ID which you have mentioned in the text module. After completing all the above steps, we will found that when we click on the text then a bloom pop-up will appear. Hope this piece of work helps you and feel free to comment below for any other help.